Speaking of post and pre-theatre places to eat, theatre land in London is especially geared up at both ends of the evening. We have a few regulars – discounting the “eat during the performance” at the Royal Opera House [about which more elsewhere], but J Sheekey is perhaps the first choice. Funny, we’ve only been at “normal” times once, usually arriving around 10:30-11:00 for a couple of courses and a bottle of wine. Your whole day seems to shift in London, with shops opening at 10:00 or even later, but the centre alive with people until well after midnight most days of the week. He’s setting up the restaurant equivalent of LVMH. He’s spending a lot more on these businesses than they’re probably worth, but eventually he’ll have a portfolio that, as a brand, is worth far more than the sum of its parts. So J Sheekey, down the little side street that is St Martin’s Court, painted red and with the uniformed doorman – not flash. Always greeted inside as though you come everyday and, as you’ve had to tell them what you’ve been to see as they know the time it finishes better than you do, “how was the play/event/concert?”. It’s all about the fish and, to start, all about the oysters or the caviar. On our first visit a couple at the next table toyed with around £100 worth of caviar, and a bottle of vintage Dom Pérignon, and then left most of it and disappeared. Jeremy King and Chris Corbin know just what it takes to make a place special. Thinking back to comments about Anthony’s in Leeds – great food let down by dreadful atmosphere – these guys get the balance right. 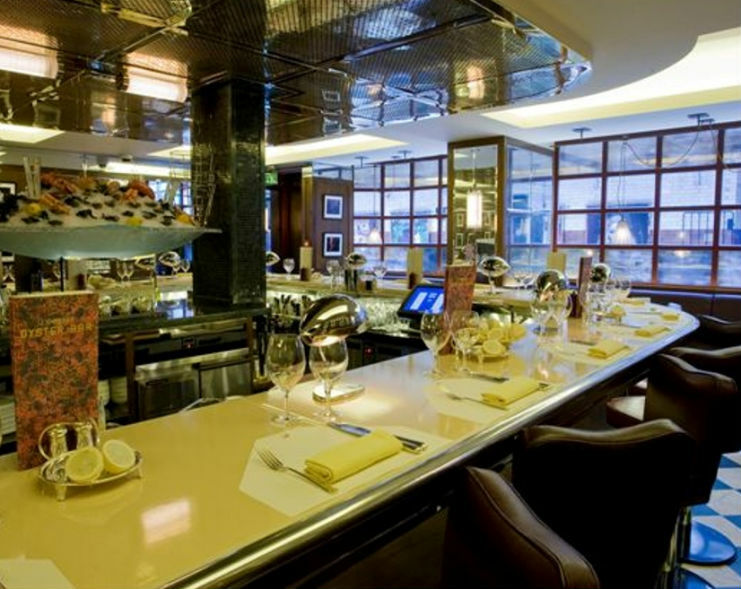 Good value food at all their places, with a strong dose of Parisian Brasserie makes for a great occasion. There’s a specialist Porsche converter in California called Singer, who have a simple moto that can be applied to almost every business that demands customer satisfaction…”Everything is important”.